← Mutton & Hogget – what’s the difference? Foodies Festival Returns to Ripley Castle with a Lip-Smacking Feast of Culinary Features, Top Chefs and Foodie Fun. Yorkshire foodies can look forward to another taste-bud-tickling weekend this summer as Foodies Festival, the UK’s biggest celebration of food & drink, returns to Harrogate’s Ripley Castle 19th to 21st August. Expert sommeliers Neil Phillips and Charles Metcalfe host champagne and wine masterclasses, and beer connoisseur and writer Melissa Cole offers entertaining craft beer tutorials with hourly sessions in the Drinks Theatre. A feast of international flavours and delicacies are served on the Street Food Avenue. Japanese, Thai, Malaysian, Argentinian, Turkish, Indian, Korean, Mexican, French and African are just some of the cuisines on offer and can be enjoyed in the every growing Feasting Tent, ensuring hunger is banished and tummies are full. This year there are more award-winning producers at Foodies Festival than ever before with a glittering array of Great Taste Award winners available to shop and sample from, each being hailed as a producer of ‘Exquisite, Outstanding and Simply Delicious’ food and drink – a fantastic opportunity for visitors to meet artisan producers from the local area and across the country, learn their story and stock up on award winning produce. A beautifully decorated new Vintage Tea Room offers visitors Afternoon Tea with a selection of cakes, scones with clotted cream and jam, and finger sandwiches served on china from a tea trolley by vintage styled tea ladies and gentlemen. Festival goers can munch their way into the depths of the jungle this summer with a trip to the Vietnamese Street Food stand, where those with a taste for the exotic can indulge in insects, including grasshoppers, caterpillars, mealworms, beetles, scorpions, locus and ants. For those brave enough, there’s a daily Bush Tucker Trial on the Challenge Stage, where visitors compete against one another by eating jungle insects, from small ants to large juicy grubs, with the contestant eating the biggest and the most being crowned champion. After a day of feasting and fun, visitors can picnic on the grass with friends and soak in the atmosphere with live music from award-winning local bands at the Unsigned Music Awards Stage and a glass of bubbly or refreshing cocktail from the Giant Pimm’s Teapot, Mojito Ship or Appleton Estate Rum Bus. 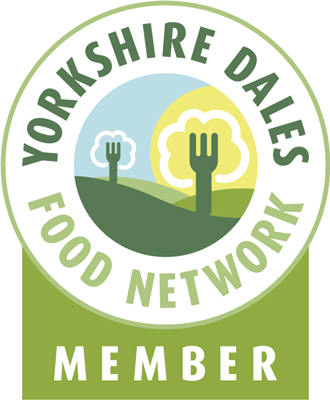 This entry was posted in chefs, Drinks, Eating, Events, farmers market, Food, StreetFood, Yorkshire, Yorkshire Dales Food and tagged burlesque baker, charlotte white, Food Festival, foodies festival, harrogate, ping coombes, ripley castle, vintage tea. Bookmark the permalink. When? Will there be any gluten free dishes or stands?